This Gothic church in the heart of Clemson was built in the 1930s when Clemson University was still an all-male military school called Clemson College. Catholic cadets from the college desired a place to worship, leading a Greenville resident to donate money for a Catholic church near the campus. 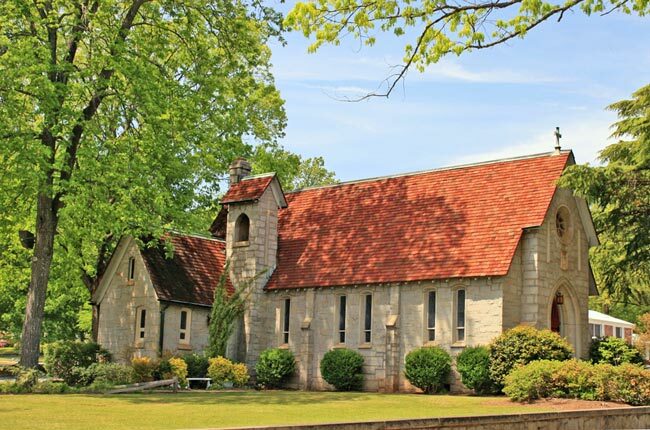 When St. Andrew Chapel, as it was first known, was built in 1935, it was the first Catholic church in Pickens County. St. Andrew was constructed of granite from Elberton, Georgia. When it was completed, the 84-seat sanctuary was thought to have been “overbuilt” for the 48 people who first attended. St. Andrew Chapel, along with St. Francis of Assisi in neighboring Walhalla, were both mission churches of St. Joseph in Anderson until 1940. This church then became known as St. Andrew Catholic Church. 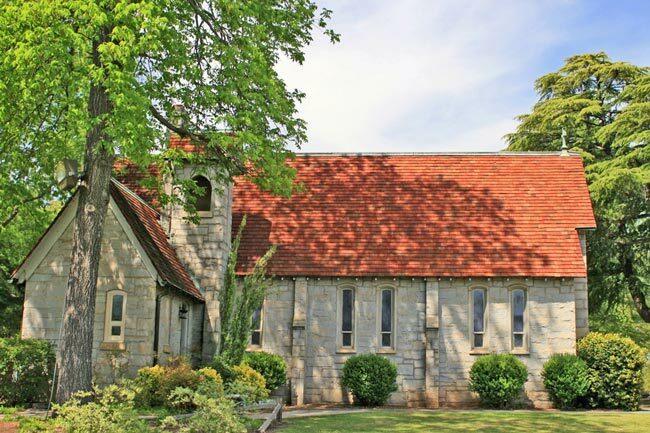 Today the church property houses a larger, modern building in addition to the traditional chapel. St. Andrew Catholic Church has an active campus ministry that serves students at Clemson University as well as other Upstate colleges.